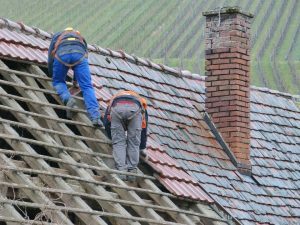 How roof pitch determines suitable roofing systems flat and nearly-flat roofs (a pitch of 1-in-12 or 2-in-12) cannot be covered with shingles or shakes of any material since there is not enough angle to combat the danger of blow-off. 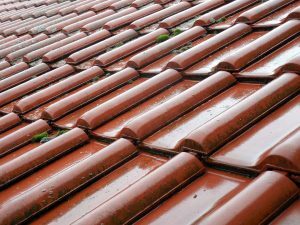 Roof pitch designations are two numbers divided by a slash, such as 2/12 or 7/12. A colon can replace the slash, as in 2:12 or 7:12. The meaning is the same ratio. The pitch of a roof is its vertical rise divided by its horizontal span (or "run"), what is called "slope" in geometry and stair construction, or the tangent function in trigonometry. In the imperial measurement systems it is typically expressed with the rise first and run second.